Jaydeep Steels is highly acclaimed throughout India, as well as worldwide for their distinguished and outstanding varieties of Duplex Steel Sheets & Plates. The Duplex steel sheets are available in varying shapes, sizes, and thickness; as per the varying needs and requirements of the customers. These Duplex steel plates prove to be eminently useful in various fields like chemical industries, wastewater industries, heat exchanger, compressor, pump components, and much more. Hence, we make sure that they are designed to be corrosion-free, extremely durable, and meet all the industry standards and specifications. Duplex Steel Hot Rolled Sheets and Plates are designed by heating the duplex steel slating coils at a temperature which is much higher than the steel’s recrystallization temperature, approximately, 1700° F; thus helping it to be shaped and formed easily. These are put to use in making of rail-road tracks and I-beams. Duplex Steel Cold Rolled Sheets & Plates are created by processing the steel further in different cold reduction mills. These products have a superior surface finish, higher tolerance, better concentricity, and straightness. 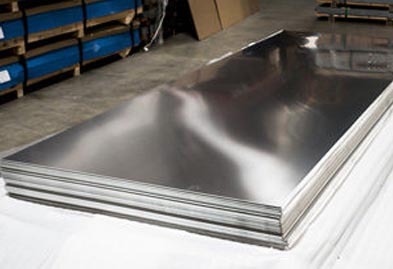 Duplex Steel Galvanized Sheets & Plates are prepared by a process called hot dip process where a duplex steel sheet is coated with zinc on both its sides. They have advantageous features like corrosion resistant, spangled or smooth appearance, easy to fabricate, etc., and hence is put to use in electrical boxes, automotive parts, HVAC equipment, roofing, and much more. Duplex Steel Polished Sheets & Plates have the chemical composition of equivalent proportions of austenite and ferrite, thus allowing the alloy to be stronger and tougher than standard austenitic steels. Duplex Steel Perforated Sheets are just regular steel sheets upon which a predetermined pattern, especially holes, are created with the help of punching. These are used in architectural detailing, ventilation department, and furniture. Also, these Duplex steel Chequered plates are being used in various small and large scale industries. 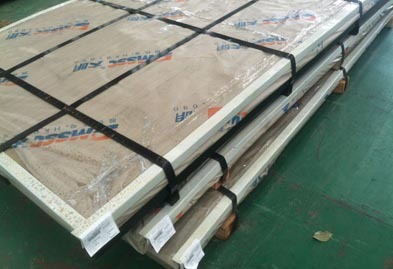 These have the advantages of being, water-resistant, high hardness, right clean surface, skid resistant, and much more. Contact us today or take a look at our technical specification guide and request a free quote! Jaydeep Steels stocks a wide range of materials and grades. Below are a list of all standard duplex steel sheets and plates materials and grades we stock. Our experienced team of metal experts will get you the metal you need when you need it. Call us today for your Duplex Steel Sheet & Plate Needs!